Two issues loom in my mind lately. One is a troubling question of why not allow “fair chase” hunters who are not necessarily part of the wolf-hating crowd to kill a wolf in a managed hunt. The second is the attempt by Congress including one of our current Minnesota Senators to permanently de-list the Great Lakes wolf from the Endangered Species list. It is easy to disarm the arguments of deer hunters who call for zero tolerance for wolves or advocate for a kill as high as 750 annually or brazenly want them wiped out. These arguments are based on their bizarre claim that there is a scarcity of deer in Minnesota. Since 2000 to 2015, Minnesota has had the largest whitetail deer population in our history. This has been the “golden age” of deer hunting in Minnesota. According the MN DNR, the deer herd has varied between one million to one and quarter million during this same period. These same years of record deer numbers have also coincided with the largest wolf population in our state’s history – 3,200 wolves prior to the states three wolf hunts. I am not implying that three thousand wolves are responsible for over a million deer. The reason for these deer numbers are our land practices. For three to four decades, Minnesota’s public lands were tree farms for the orientated stand board plants and pulp wood industries. These extractive wood industries created ideal habitat for deer. Wildlife managers have repeatedly made the claims that the wolf density in northern Minnesota is the highest in North America and I would not argue this but this has nothing to do with wolves being over populated. Wolves are living in balance with their prey base. What it does say is that our deer herd is enormous. If one wants to lower the wolf population, lower the deer population. Any predator population will be indicative to its prey base. As for the outcry from the Ag sector concerning livestock losses, this is in some cases a legitimate issue that needs to be dealt with quickly and with measures that focus on the “problem” wolves and not non-offending wolves but this too can easily be disarmed. The last year that depredation numbers were made available from the FWS was 2011. In this year, only slightly over 200 complaints or 1.7% of farms in MN had confirmed claims of depredation by wolves which included cows, calves, geese, llamas, and dogs. USDA statistics at the end of 2014 show Minnesota with a cattle herd of 2,300,000. 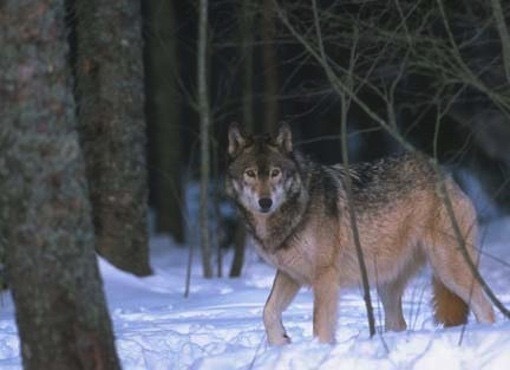 The article indicates 66 calves and 17 cows (total 83) were killed by wolves. That is 83 killed by wolves out of 2,300,000 head. That means, in 2014 the wolf depredation was .0038% of the total cattle herd. Also, the USDA at the end of 2014, the USDA states; Minnesota had a sheep herd of about 130,000. 12 sheep were killed by wolves. That is .0092% of the herd were killed by wolves. Now with the reality check done on wolf haters and livestock issue dealt with, the troubling question of why not allow “fair chase” hunters who are not necessarily part of the wolf-hating crowd to take a wolf on a managed hunt. This has been for some time a difficult problem for me to address. Often I question myself and ask myself, “why not, these people do not want to wipe out wolves.” They want to keep a sustainable population out there so there will continue to be wolves to hunt. As I was mulling this question in my head, as I have often done, I often recall something that had a great impact on me about twenty years ago. At that time my wife and I owned and operated a small motel in northern Minnesota and one winter day we were cleaning rooms together and had the TV’s on, as we normally do while we made beds and cleaned rooms. A Discovery channel or some similar channel was on and airing a program about wolves. A segment of the film had what appeared to be an old 8 MM movie camera clip filming a tractor and wagon pulling up to a poisoned laced deer or elk carcass. Around the carcass were many dead wolves with a few foxes and bobcats. Several men were lifting the lifeless bodies of wolves on their shoulders and throwing them on the wagon as though they were cordwood. As one large wolf appearing to me to be a large male was hoisted up around the neck of this human, I could see he was still conscious, though dying, and lifted his head with open eyes. This gruesome scene shook me to the core. An epiphany took place at that time in my life. What we have done to wolves on earth for thousands of years was not just a wrong against particular specie – it is a cosmic sin. If there is a God, Creator, Mother Earth, a transcendental and innate wrong, an intelligent power greater than ourselves, we will forever be judged as having committed a cosmic sin. I have always admired and sought out wolves but from that day in the motel cleaning rooms, seeing that dying wolf open his eyes in his desire and lust for life, I realized then that we owe the wolf a deep debt. This is a debt that will not be compensated overnight. It is a debt with compounding interest. To rush into a hunting season on wolves as rashly as our elected officials, our governor, and DNR managers have done and look the other way as the demented wolf haters have been unleashed again, even though a few or some hunters just want to kill a wolf in a sustainable fashion is compounding this debt. I remember somewhere reading an account in Barry Lopez’s book “Of Wolves and Men” about an old wolf trapper in northern Minnesota. The old trapper, who apparently lost his reason for living with the wolves out of his life, told of a time when checking his trap line and found a large, beautiful, black male wolf with his leg in a foothold trap. The wolf looked at him and lifted his foot as if to ask the trapper, “help me” and the trapper thought of how he wanted to let him go and live but then thought, “I need the bounty money” and shot him. We will never be able to achieve peace in our time unless we live life in that “good” way towards all the life forms we share this earth with. I am a hunter and will to continue to hunt deer and partridge but the wolf, for me and others, should never be hunted. Wolves, along with other predators, have an important job to do, and that is being in balance with the world they live in. We humans are the greatest disturbance to that balance. “Yes we can attribute the mess and/or misery that so many are experiencing in life today to the disconnection from our Earth Mother, many miss the nourishment as well as the nurturing our Earth Mother has for us. It is when man decided to plane himself at the center which is the place of our Creator, that man therefore shifted the flow of the spirit. Man strikes out because of the pain he caused himself, in this way man has reduced everything in life down to a weed, therefore has no conscience of the harm he creates, it has become brother killing brother, no he doesn’t know where to stop or how to stop.” (Larry Stillday aka Chi Ma’iingan (Great Wolf), late spiritual leader of Red Lake Indian Reservation. We need to think about paying off the great debt we have – not about building that debt. Barry Babcock lives in the deep woods of northern Minnesota. Who is the Minnesota Senator please?